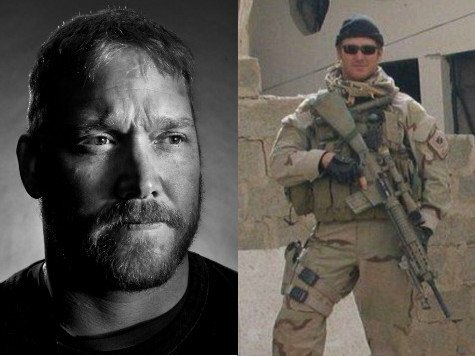 Chris Kyle, the Iraq veteran and ex-US Navy Seal known as the deadliest sniper in US history, has been shot dead on a Texas shooting range, reports say. His body was found at Rough Creek Lodge range on Saturday with that of another man. A suspect was arrested. Chris Kyle, 38, wrote the 2012 bestseller American Sniper, about the psychology of a sniper, in which he said that he had killed more than 250 people. He served four tours of duty in Iraq and was decorated for bravery. The gunman opened fire at about 15:30 local time then fled in a pick-up truck belonging to one of the victims, local media reported. Erath County Sheriff Tommy Bryant said the motive for the killings was unclear, and was unable to explain how the two men were shot. But he said a 25-year-old suspect was detained five hours later more than 70 miles (110 km) from the scene. Chris Kyle, a former cowboy, is regarded as the most prolific sniper the US has ever seen. Official Pentagon figures say he killed 160 people, but he estimated the total was 255. According to army intelligence, he was nicknamed “The Devil” by Iraqi insurgents, who put a $20,000 bounty on his head. He appeared to show little remorse for his victims. “Every person I killed I strongly believe that they were bad,” he said in an interview in 2012.